Well, it’s hard to know what to start the blog off with this month as so many interesting things have been happening recently. 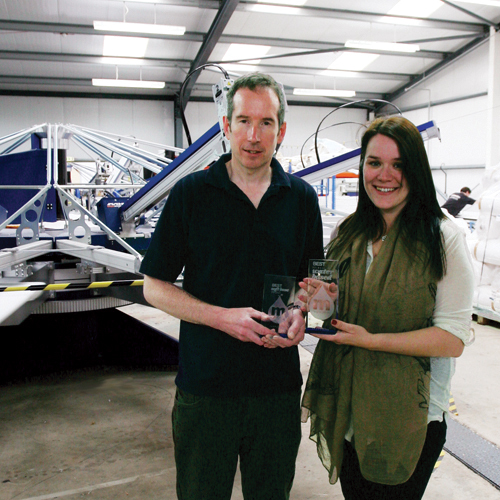 One of the most exciting has been our company winning Best Overall Water Based Print at FESPA 2013, which is the world’s largest digital and screen print show, held recently in London. In addition, we also won Best Softbase Print at the same show. Competition was stiff, with a high level of entries, so we were thrilled to be chosen by the judges to win these prestigious world-class awards. We were delighted when Theresa Dever of Magna Colours, who sponsored the prizes, came up to present us with the awards. 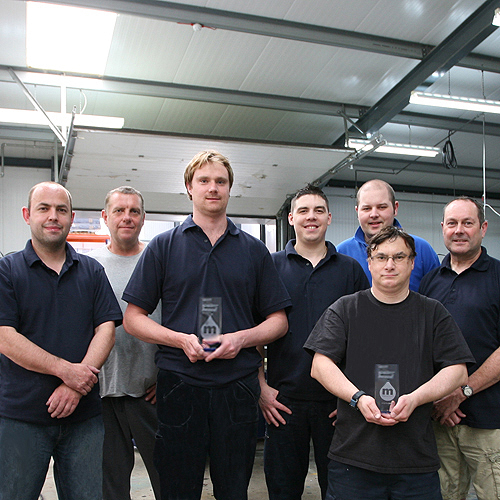 It means a great deal to everyone in the company to have our high skill levels and dedication to quality recognised, not only by our customers, but also by our peers within the print industry, and especially so to our great team of printers featured here. 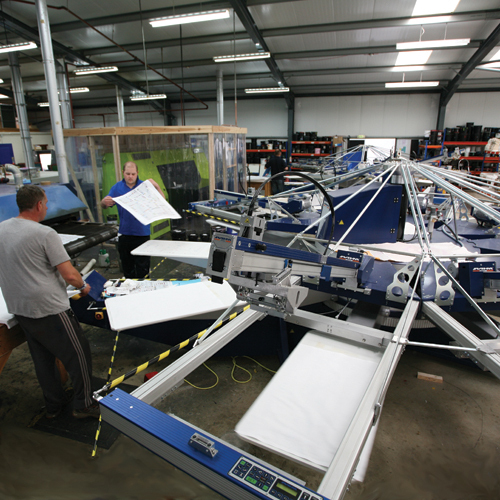 Pictured here is our latest addition to the factory floor; our new MHM 4000 carousel screen printing machine, which was shown being unloaded in to the factory on the last blog. The machine is capable of printing up to 8 spot colours, which is ideal, as much of our work now includes complex printing in both full colour process, spot colours and a mixture of both types of printing within the same design. The machine has been fully in action for some time now and is turning out some great work. Whilst the state-of-the-art equipment we have is obviously a great factor in the quality of the work we produce, the largest part is also down to the very high skill levels of our great Print Team featured above. We also wanted to feature some images of our digital printing in this month’s blog. 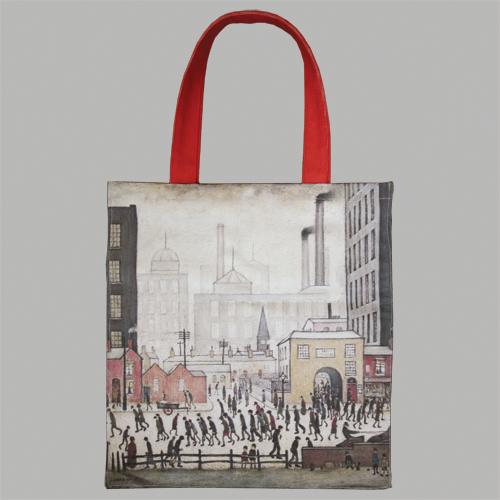 The British Museum, The Lowry and The Natural History Museum have all kindly agreed to allow us to show images of the bags we have recently produced on their behalf. 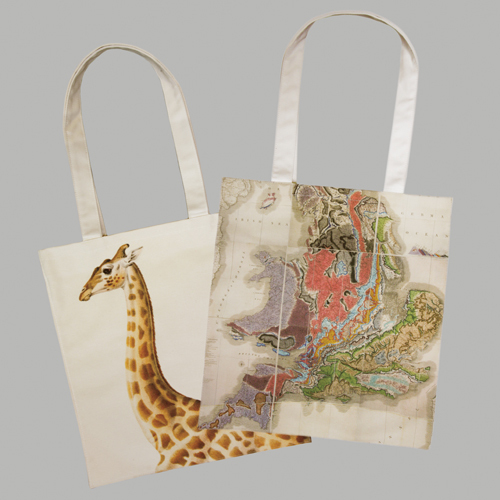 All four bags feature very intricate, all-over prints, with a very high level of detail impossible to achieve using normal screen printing methods. Superb print quality, in addition to low set up costs and small minimum orders, make the digital printing a very attractive option for a wide variety of products including tea towels, bags, aprons, kitchen textiles and cushion covers. Last but not least; our latest extension to the factory is nearly finished. This will allow us to expand our Packing & Quality Control and Despatch Department which is bursting to the seams under the very high work load we are currently experiencing. It will be great to have the extra space and should also help make things much easier for our Packing & Quality Control Team, who we’ll feature in the next blog. Until then, thank you as always, for taking time to read our blog.